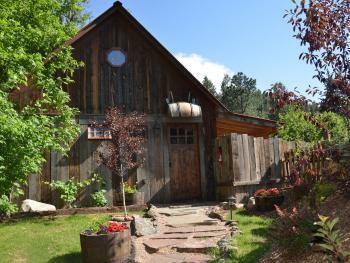 Imagine the time of Prohibition when our Colorado Outlaws were concocting their moonshine in this very barn. As we lovingly restored this old barn, we unearthed various bottles, and with this, a great cabin was born. 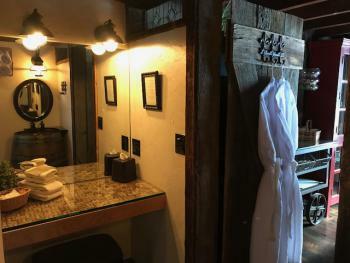 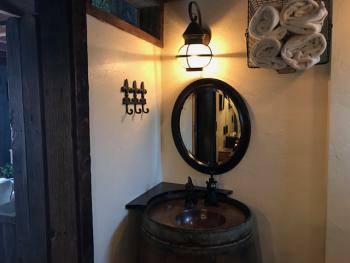 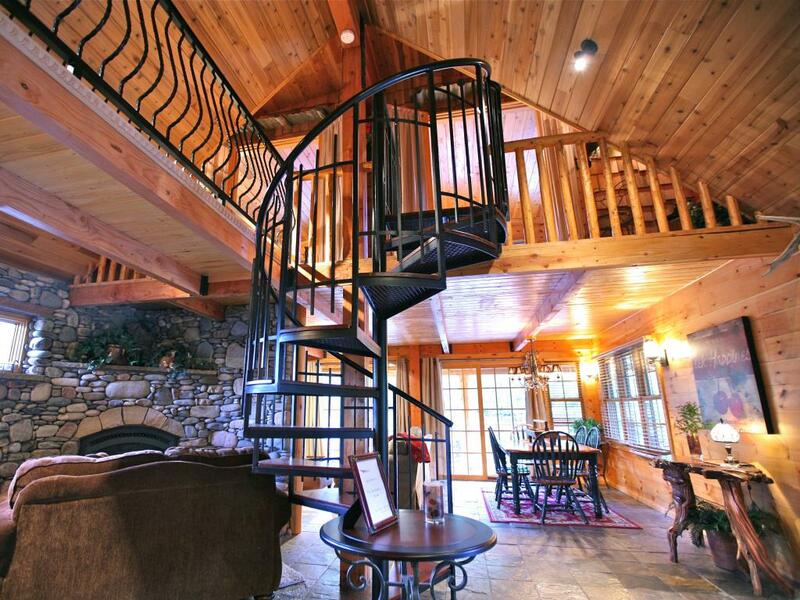 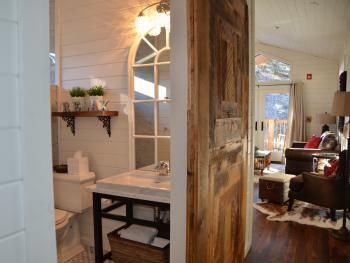 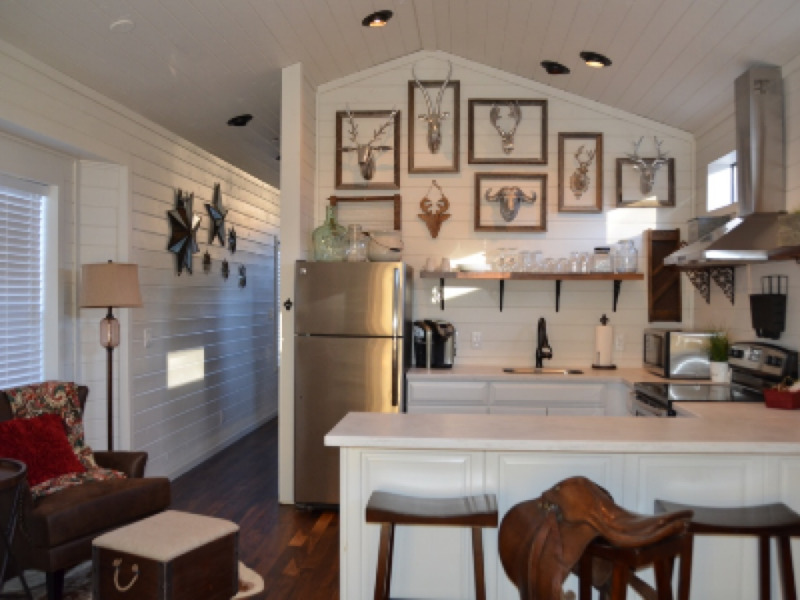 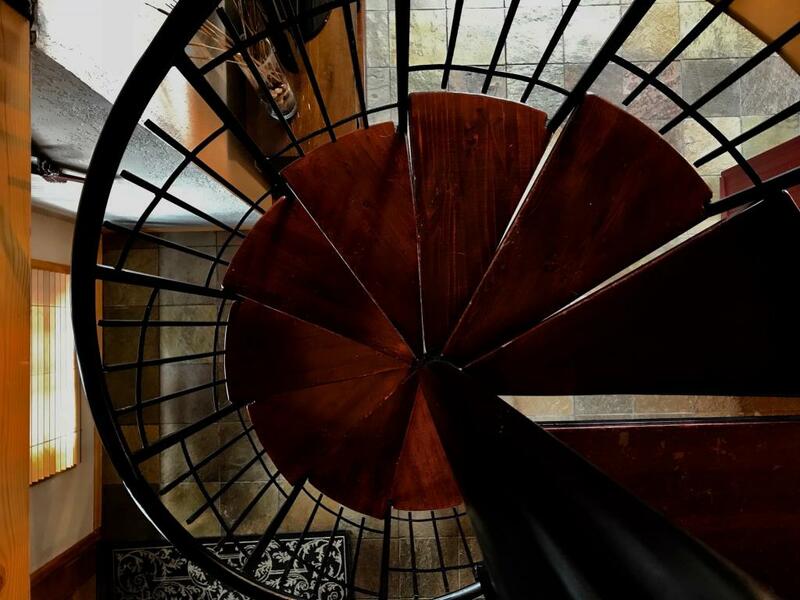 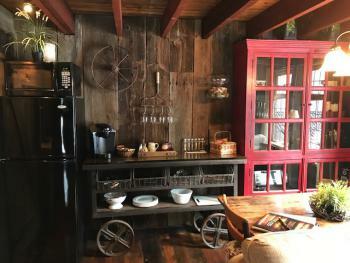 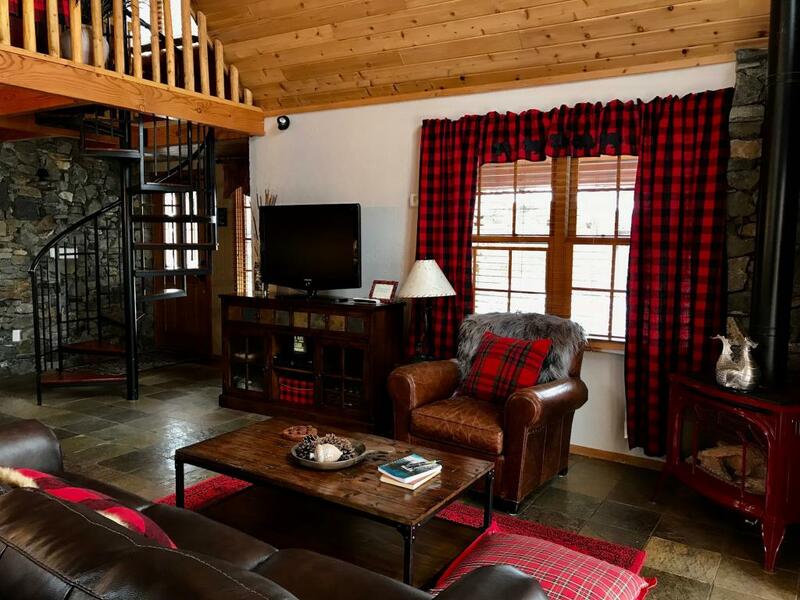 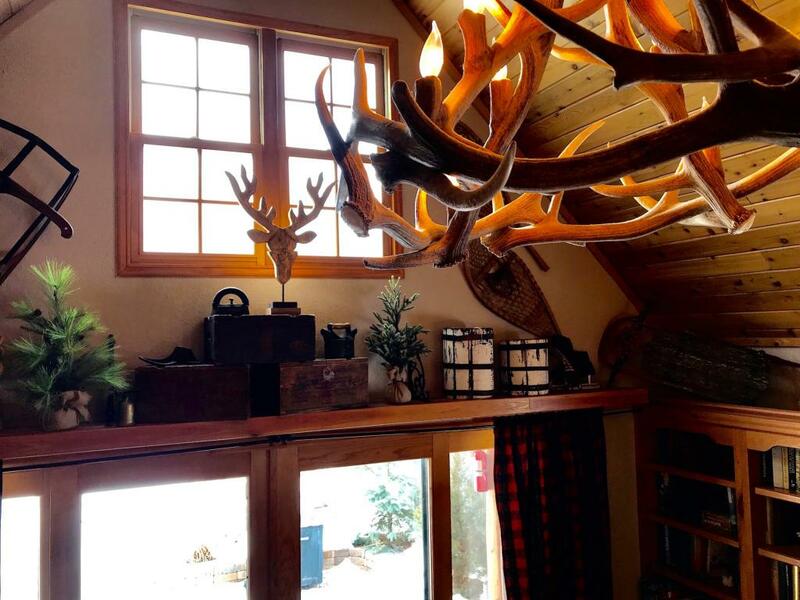 Enter the Bootlegger’s Barn, a rustic yet elegant retreat bringing you back to another era in time. 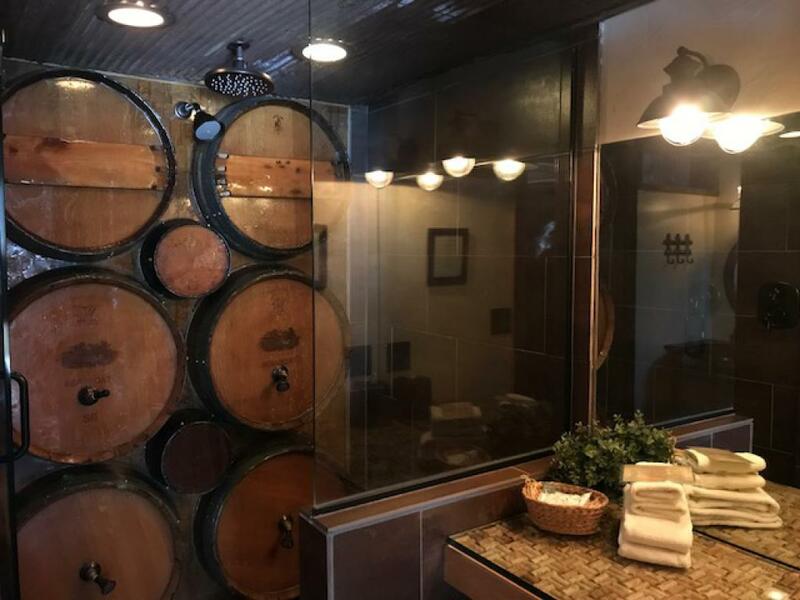 Imagine a wall of whisky barrels full of cascading fresh mountain water for your shower. 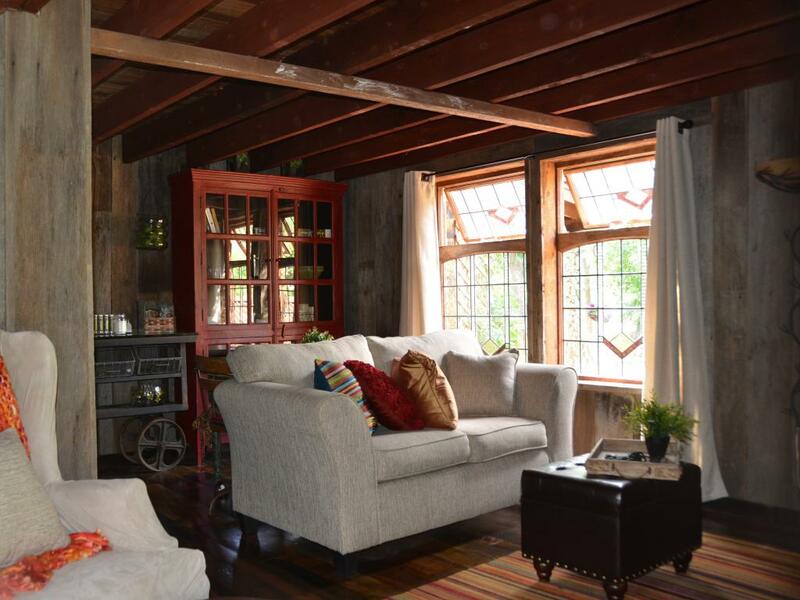 Reclaimed wood floors. 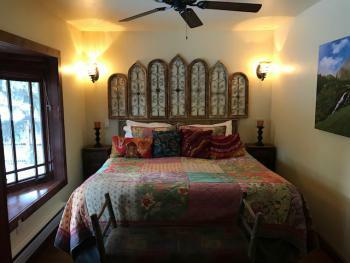 Lead pane stained glass windows. 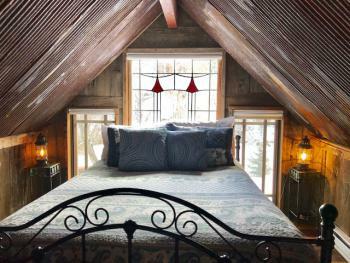 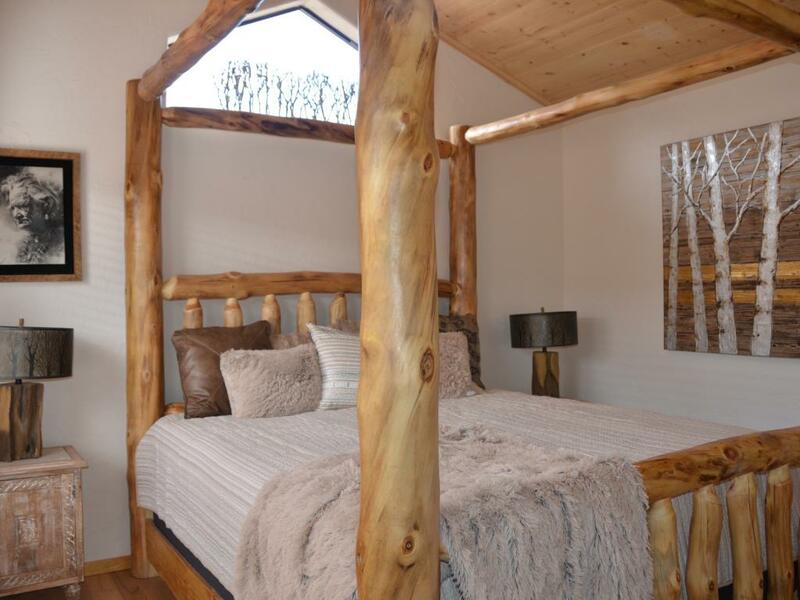 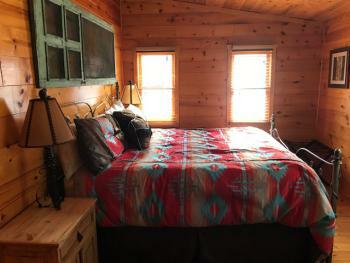 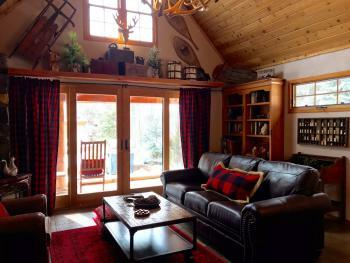 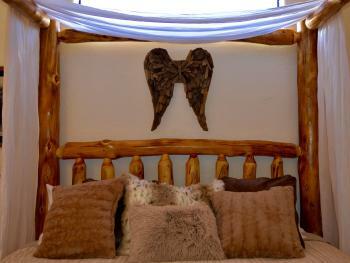 An open bedroom loft with a queen size feather bed with amazing views of Bear Creek. 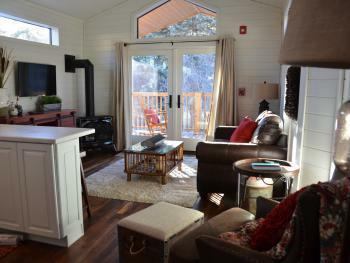 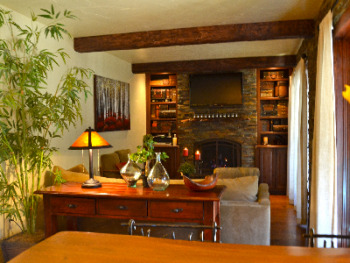 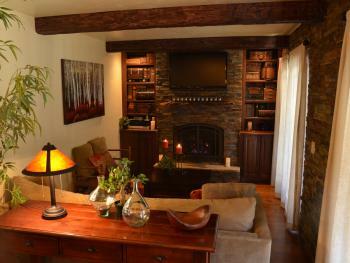 Amenities include a flat screen TV, kitchenette, private courtyard and wood deck, gas fireplace. 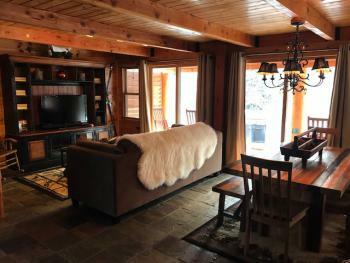 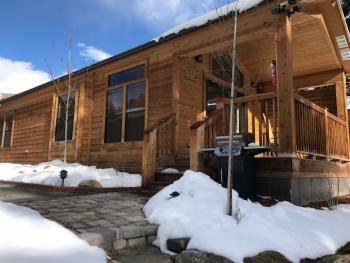 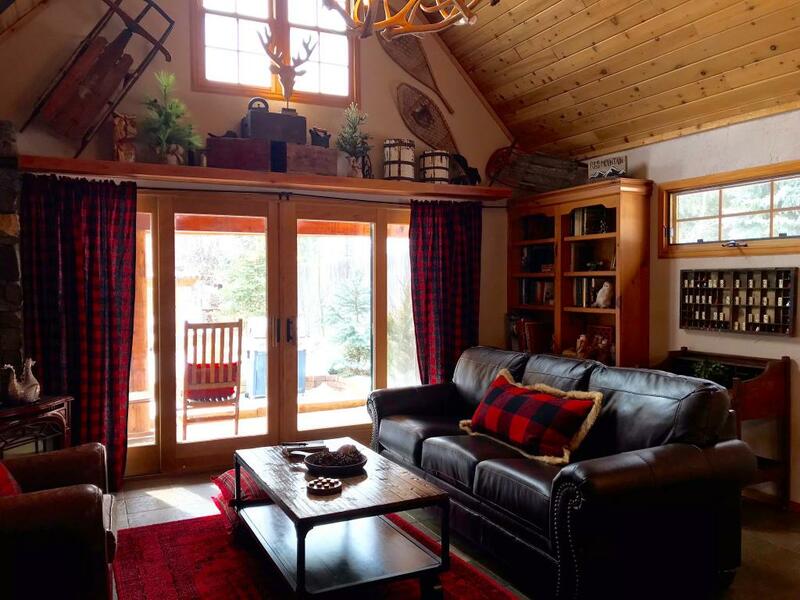 Single floor cabin features a king-size bed with private courtyard, full gourmet kitchen, gas fireplace, flat screen tv, stone and wood beam details, hard wood floors, 3 french double doors open to private wood deck and stone patio overlooking Bear Creek. 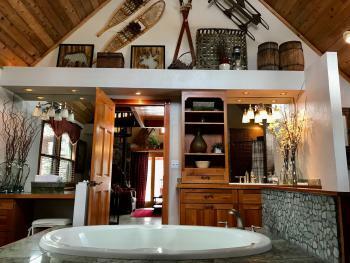 Vintage bath includes heated marble floors, antique claw foot tub, bowl sink, vanity, bay window and tin ceiling. 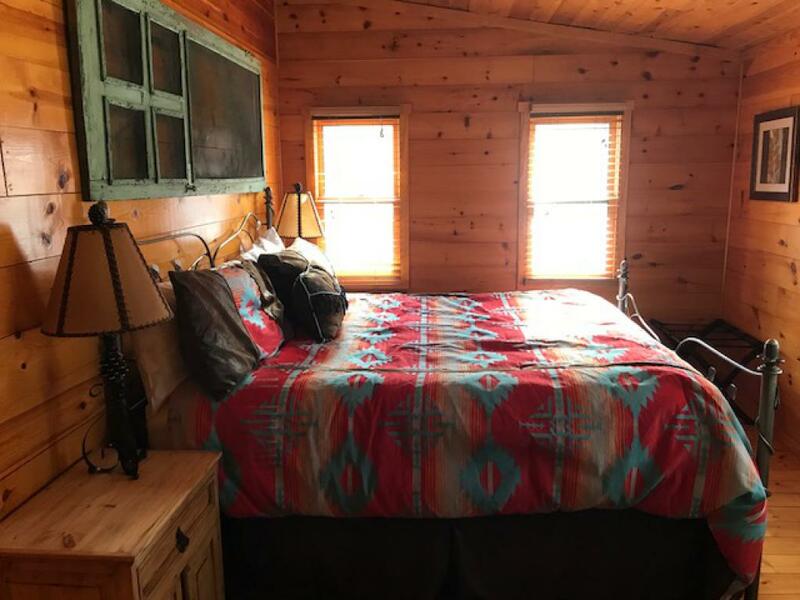 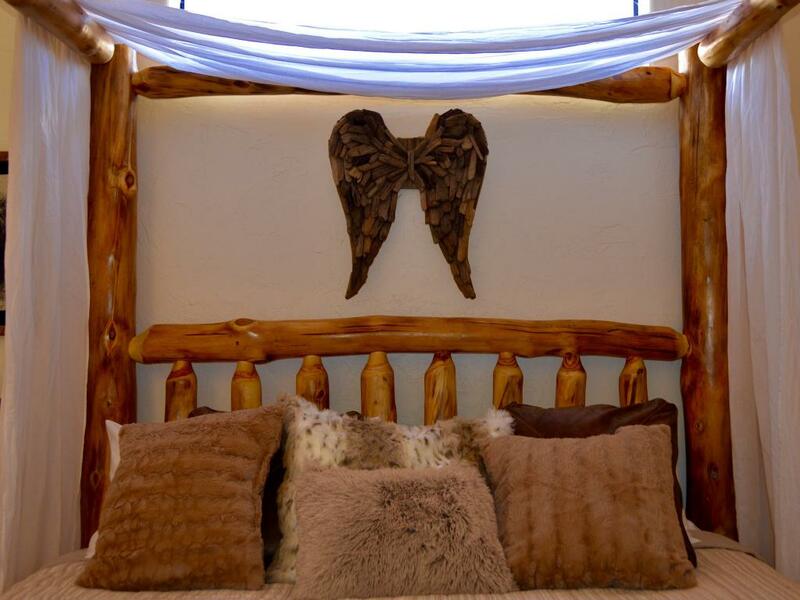 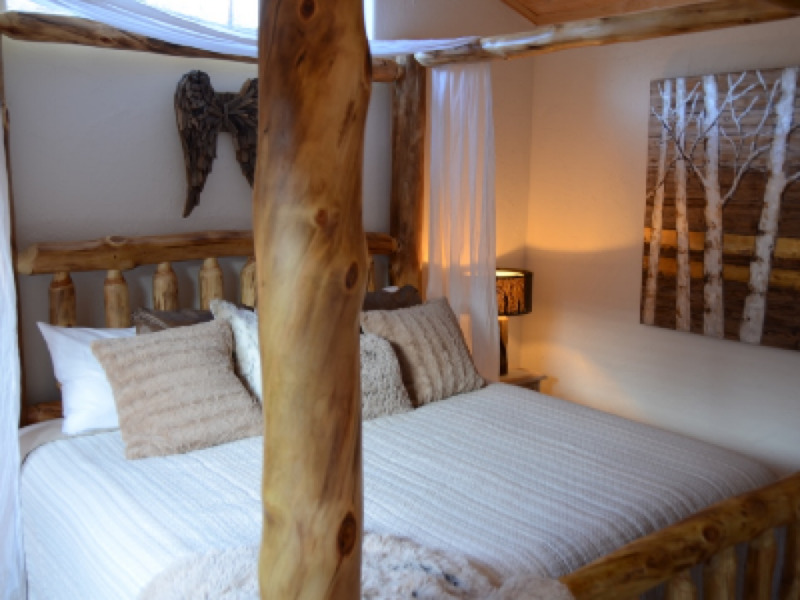 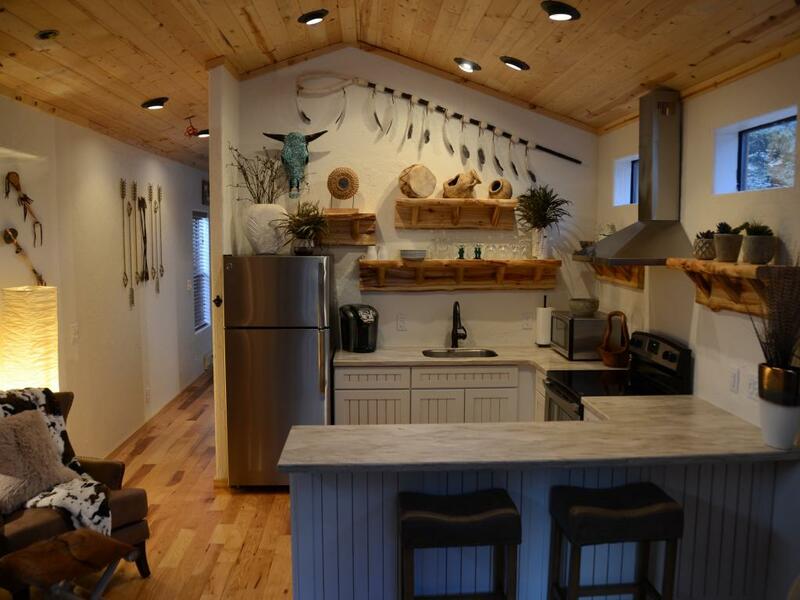 Decorated with authentic Indian art throughout, this single floor cabin includes a 4-poster lodgepole king-sized bed, oversize shower, full kitchen, gas fireplace, flatscreen t.v., outdoor grill and private wood deck overlooking Bear Creek. 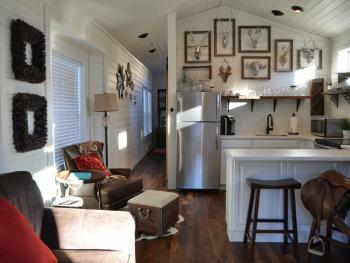 Vintage fish camp. Single floor cabin includes king-sized hickory bed, ensuite bathroom with walk-in shower, full-size kitchen, flat screen t.v., gas fireplace, outdoor grill, french doors open to private deck overlooking beautiful Bear Creek. 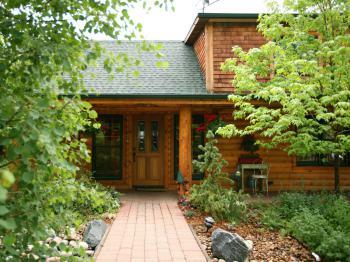 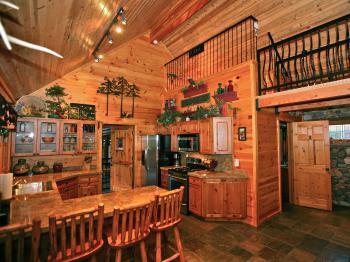 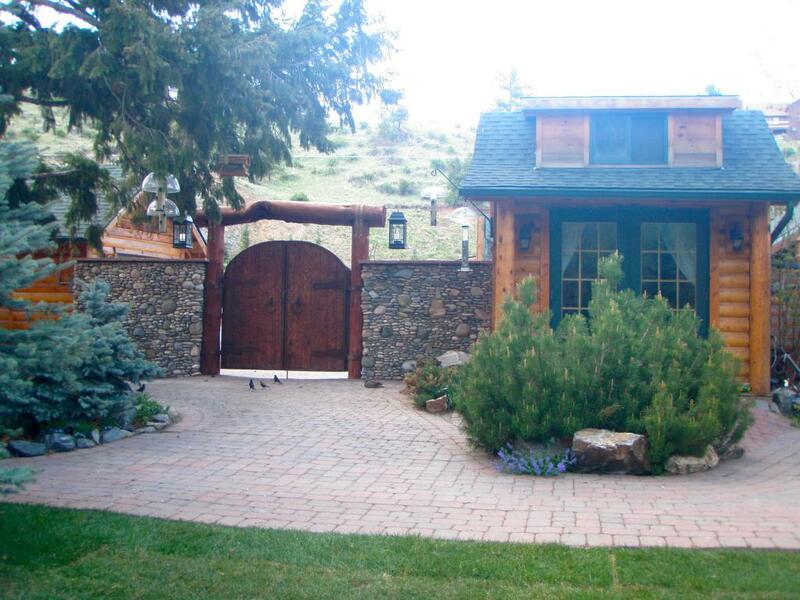 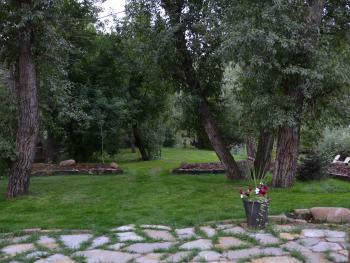 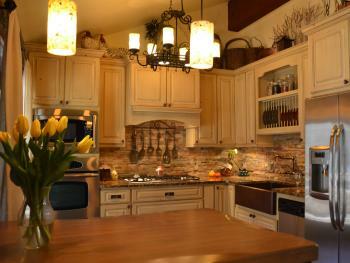 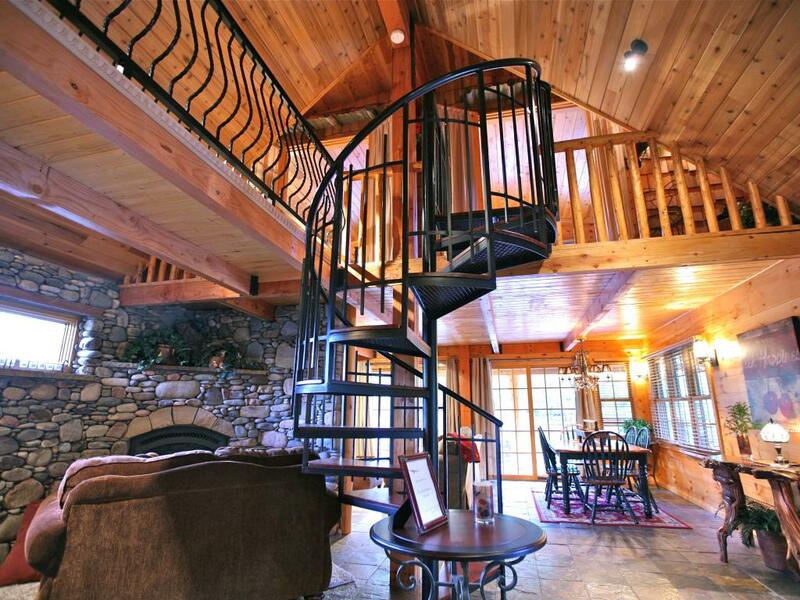 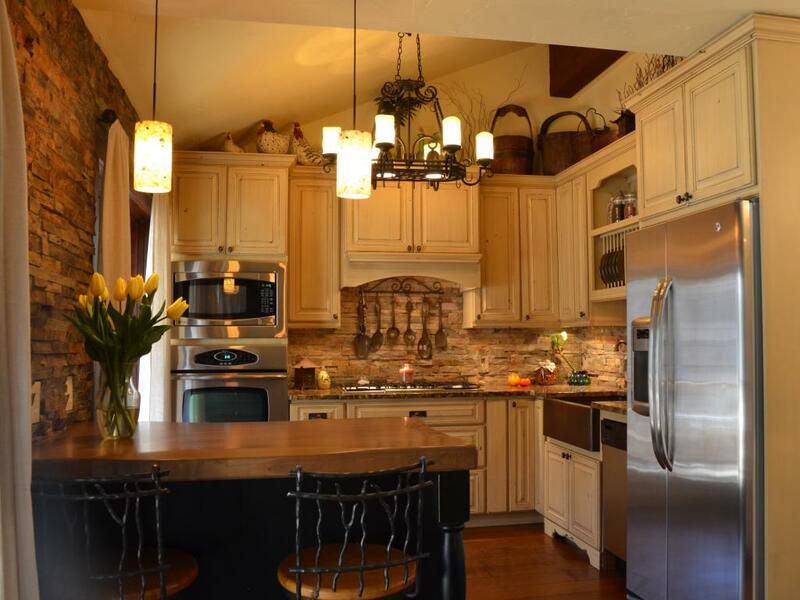 A Colorado Farmhouse with all the amenities! 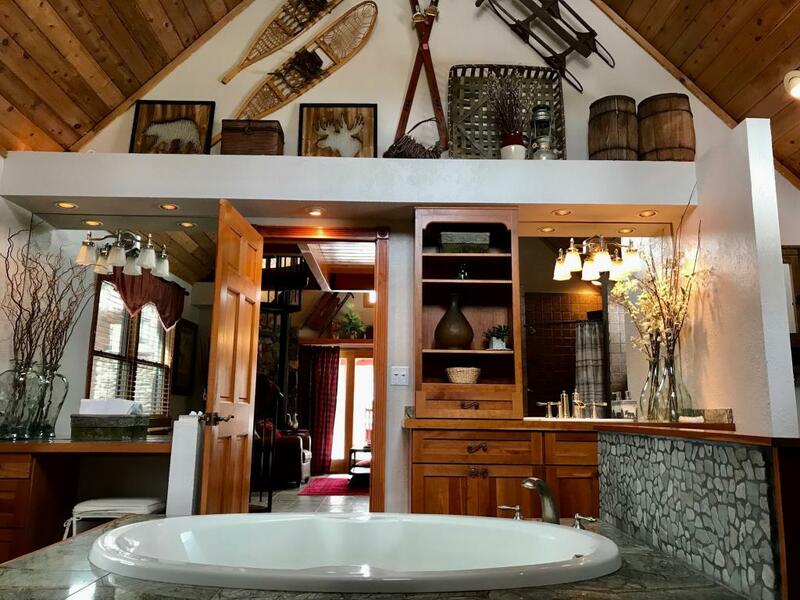 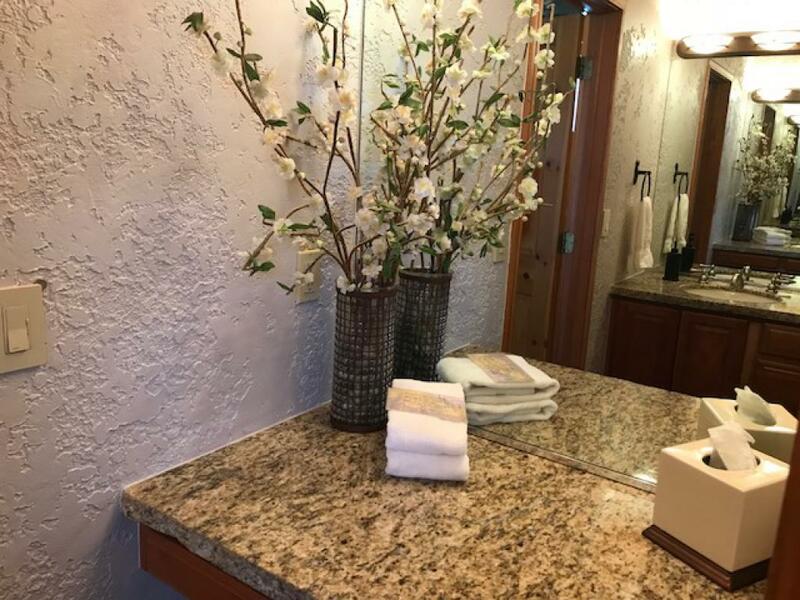 Single floor cabin includes king-sized 4-poster bed, Carrara marble bathroom with oversized shower, full-size kitchen, flatscreen t.v., gas fireplace, outdoor grill and private wood deck overlooking stunning views of Bear Creek. Open loft bedroom features queen-sized bed. 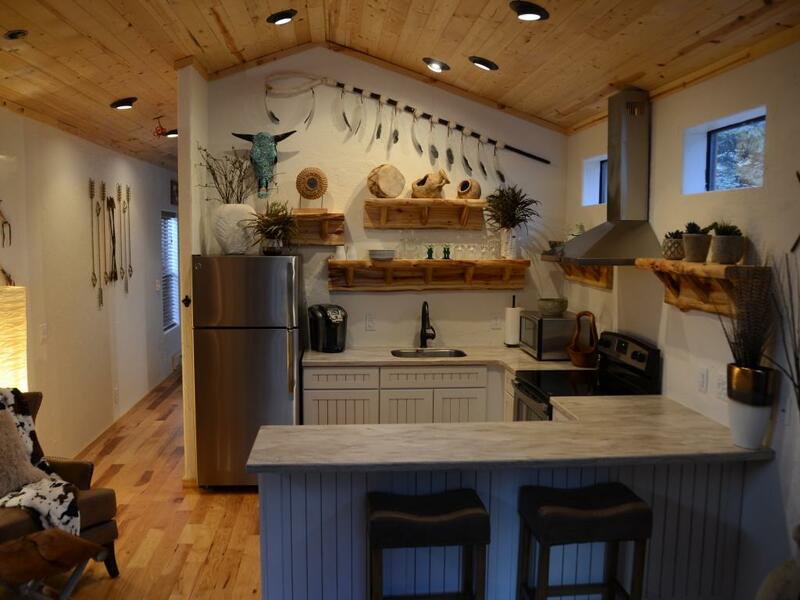 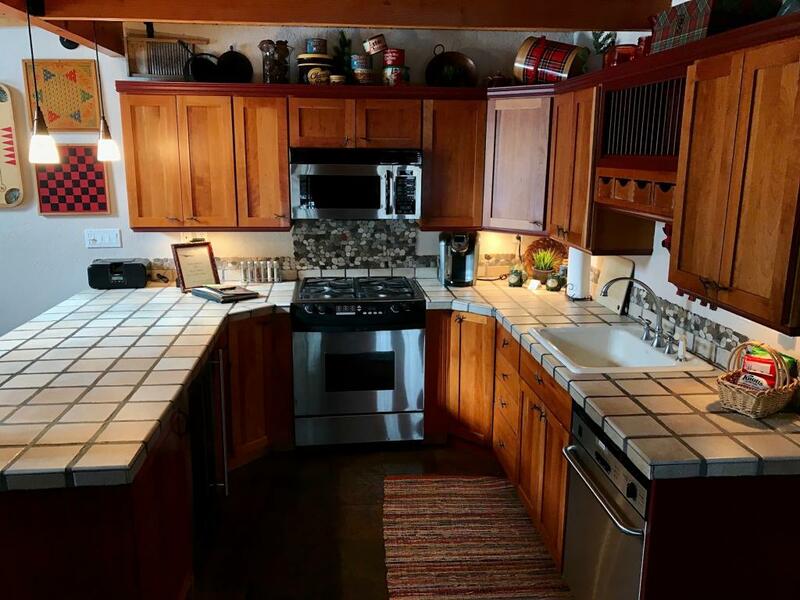 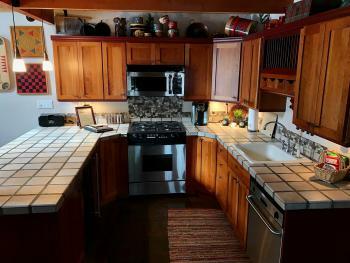 Main floor/kitchen area includes stone floors, gas fireplace, fully equipped kitchen galley, flat screen tv and wrap around porch. Spa inspired bath includes large soaking tub, separate walk-in shower, granite vanities. 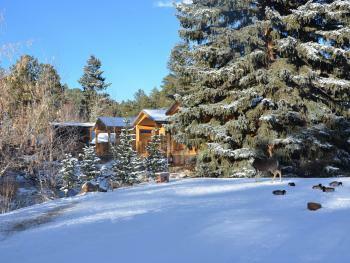 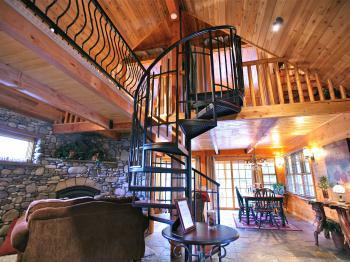 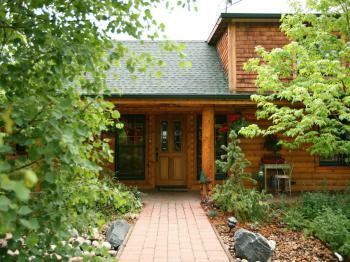 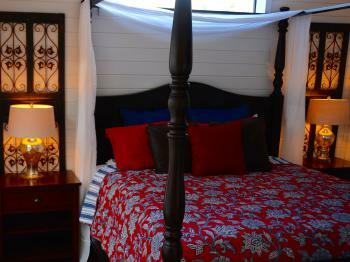 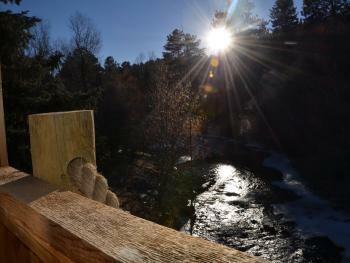 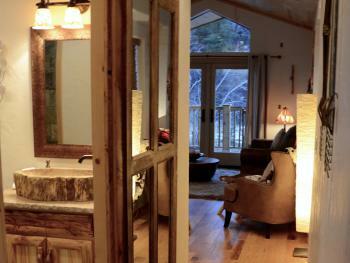 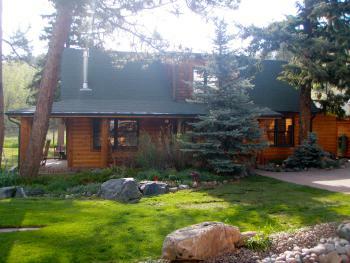 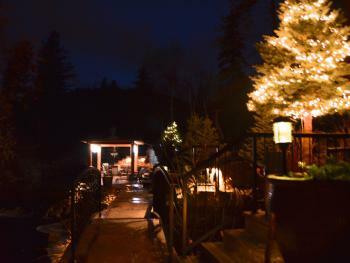 Two loft bedrooms overlooking Bear Creek, luxurious king-size bed and two twin bed accommodations. 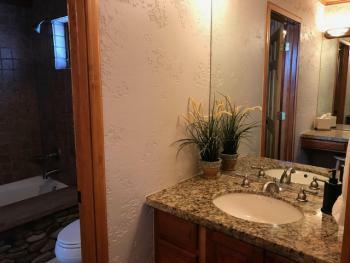 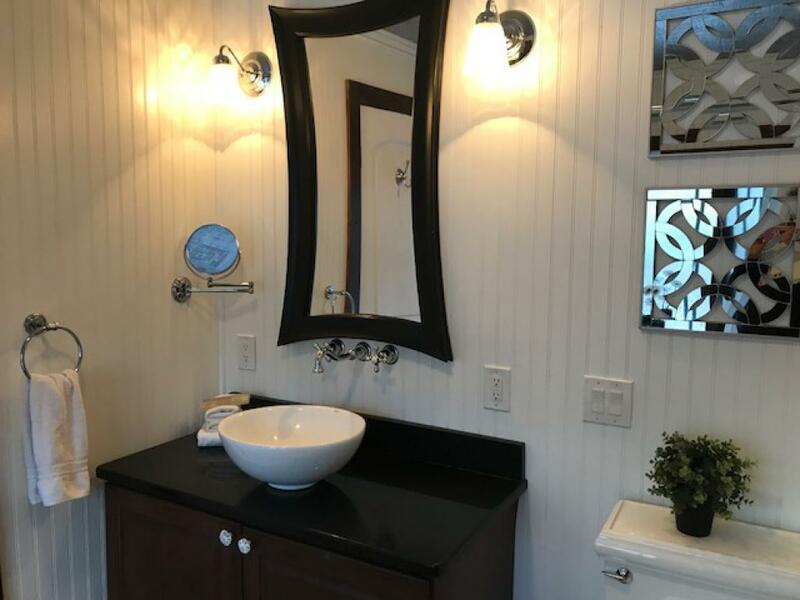 One bath includes river rock tub/shower, granite topped private vanity and sink. 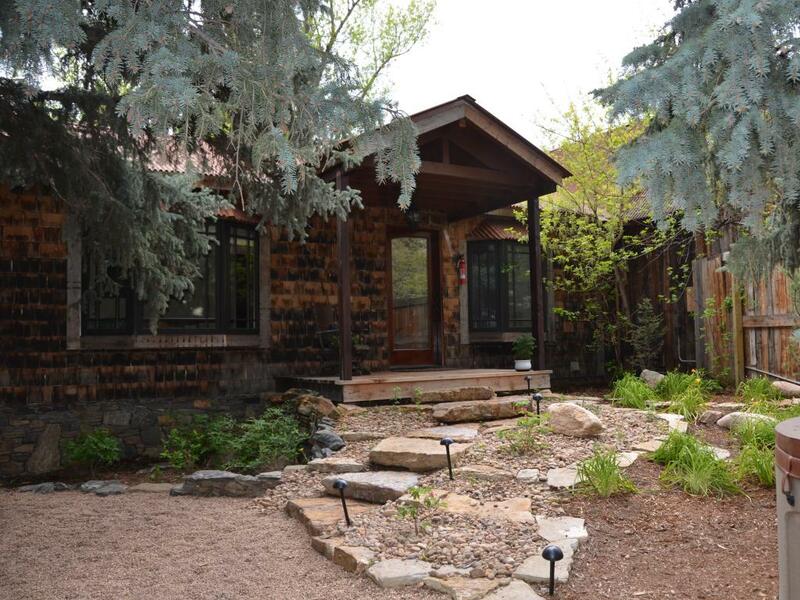 Main floor living/kitchen area, large dining table, flat screen tv, stone fireplace, river rock wall and fully equipped gourmet kitchen. 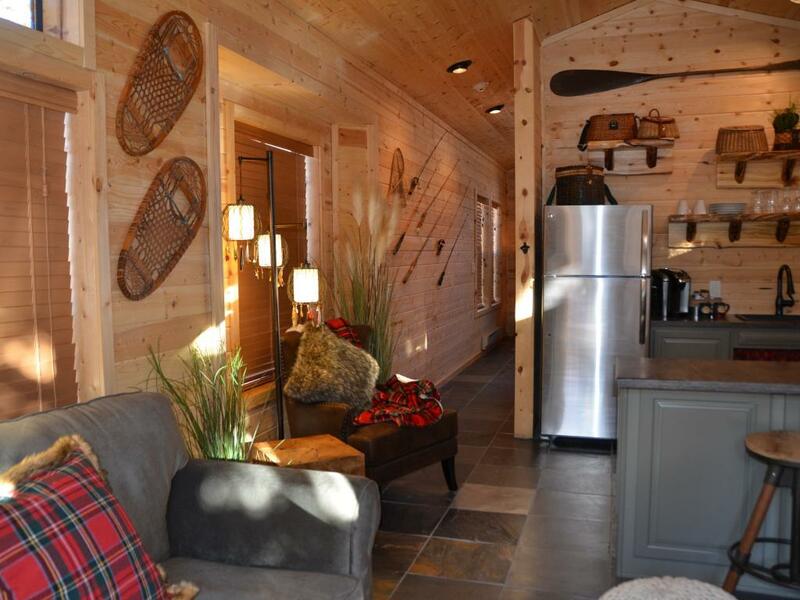 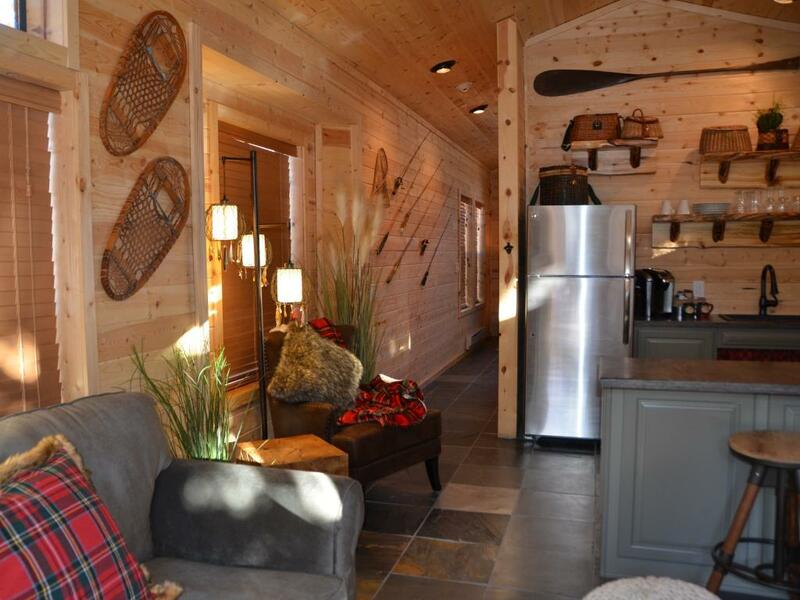 Perfect cabin for a family of four or less. 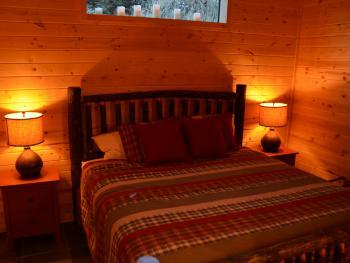 Two night minimum requirement. 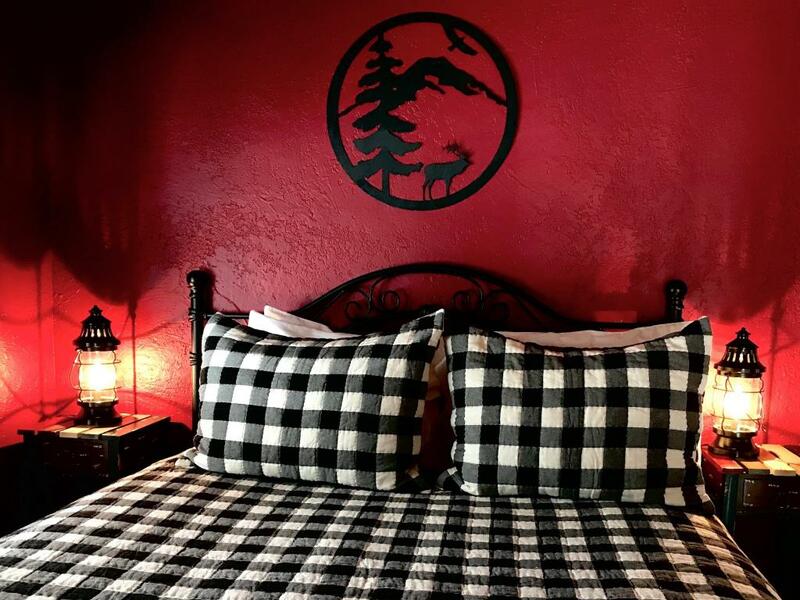 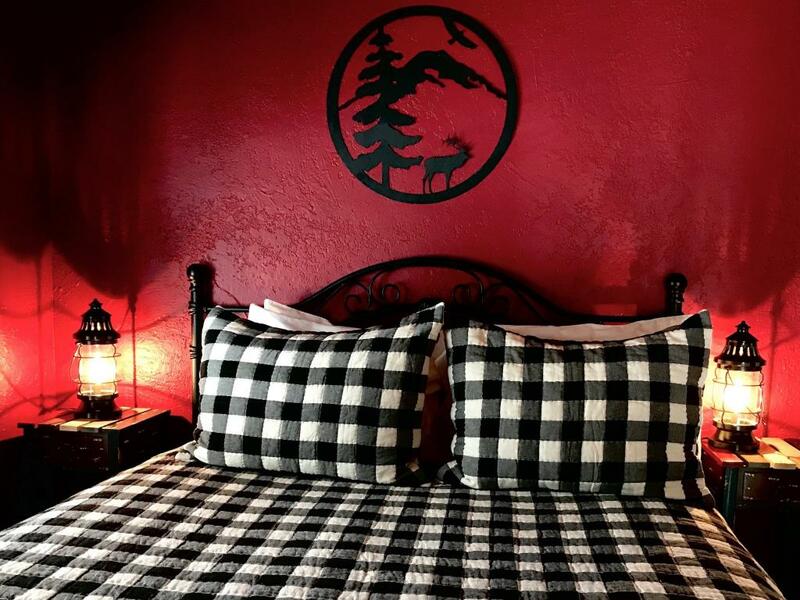 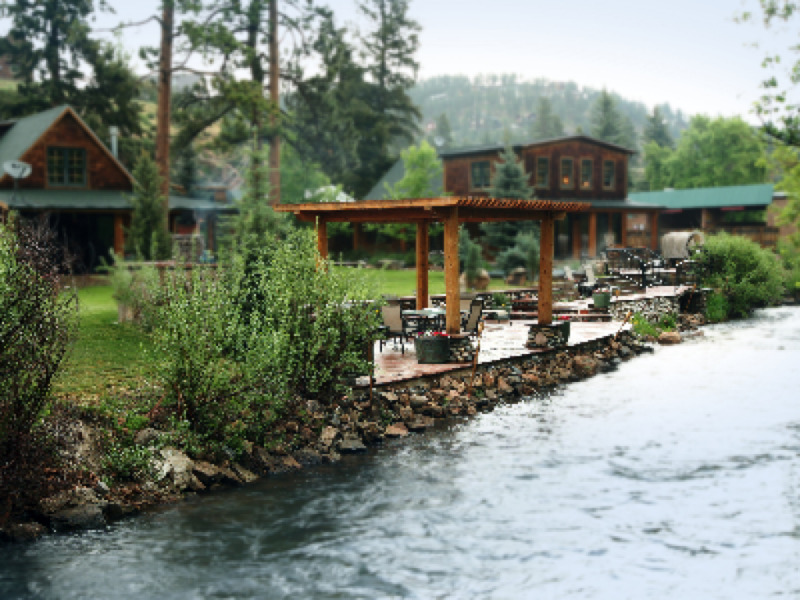 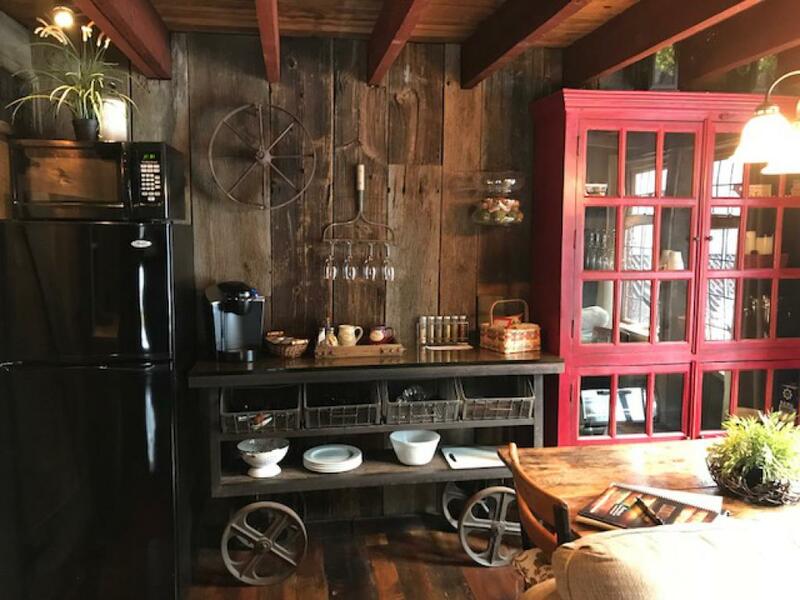 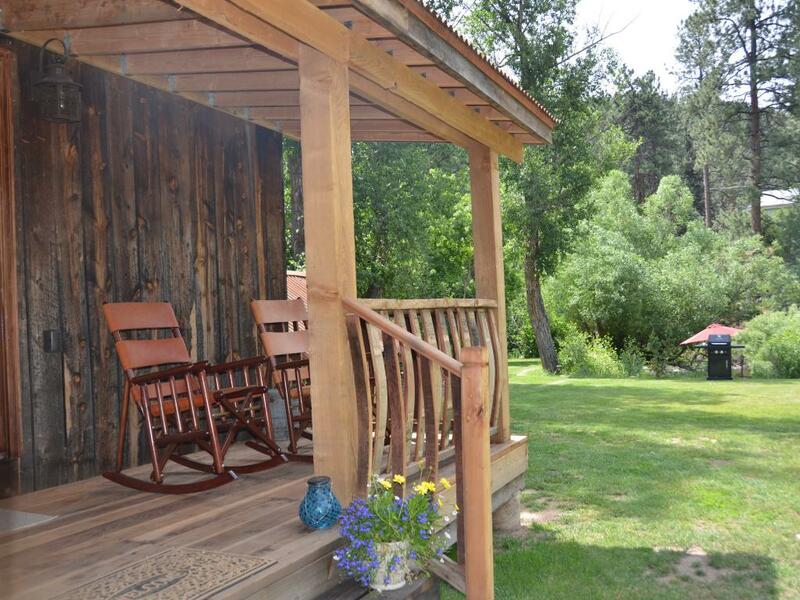 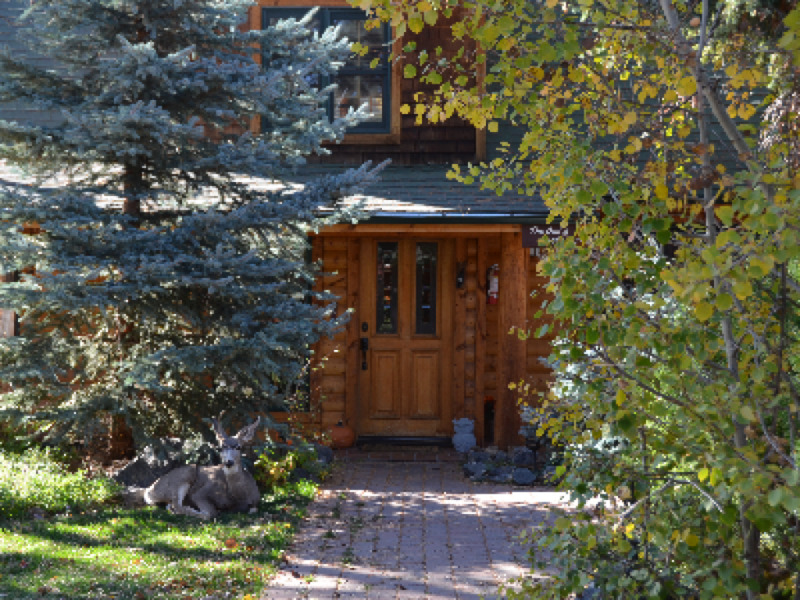 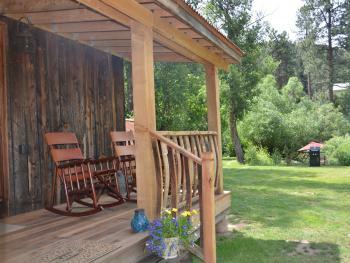 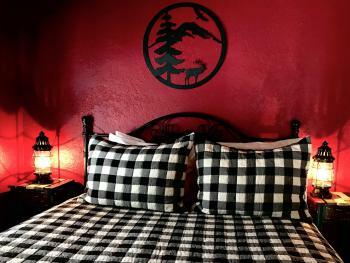 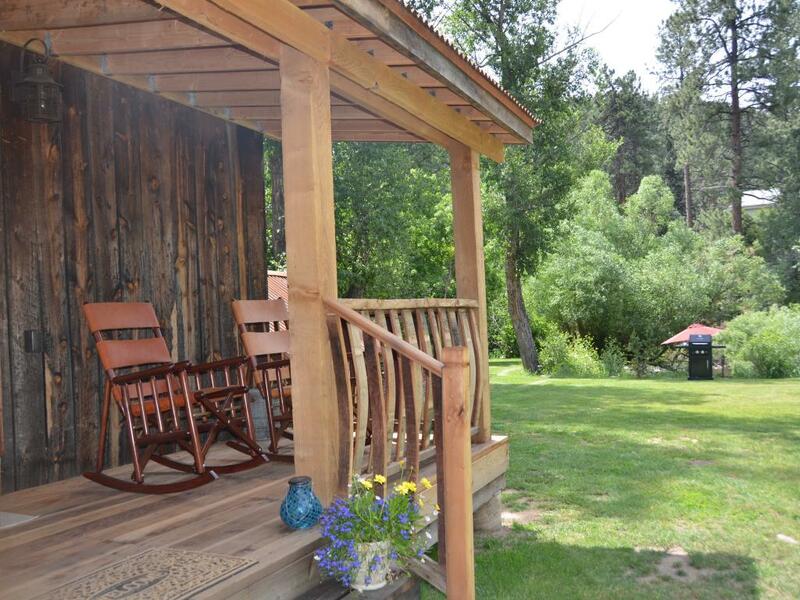 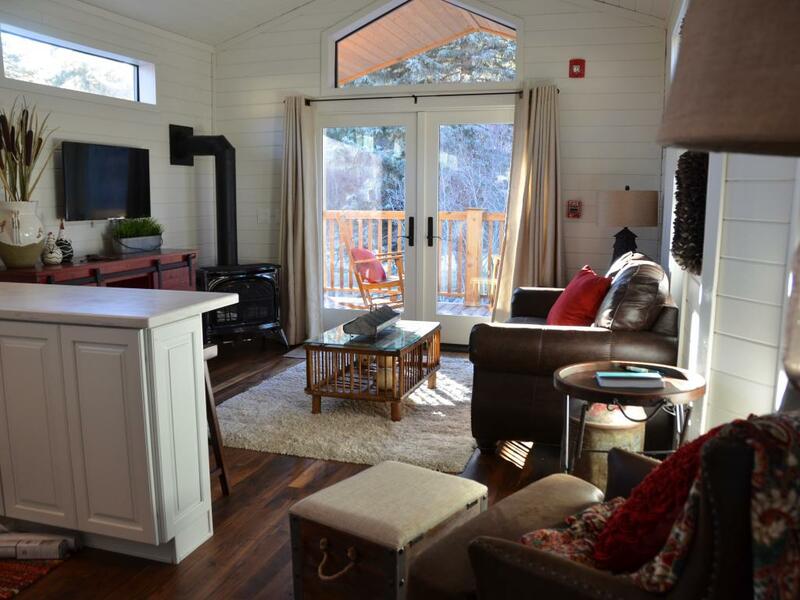 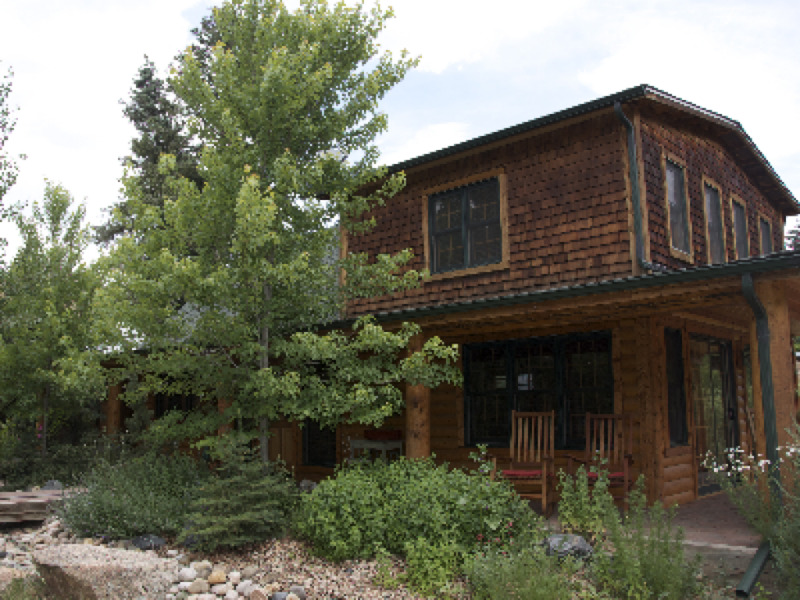 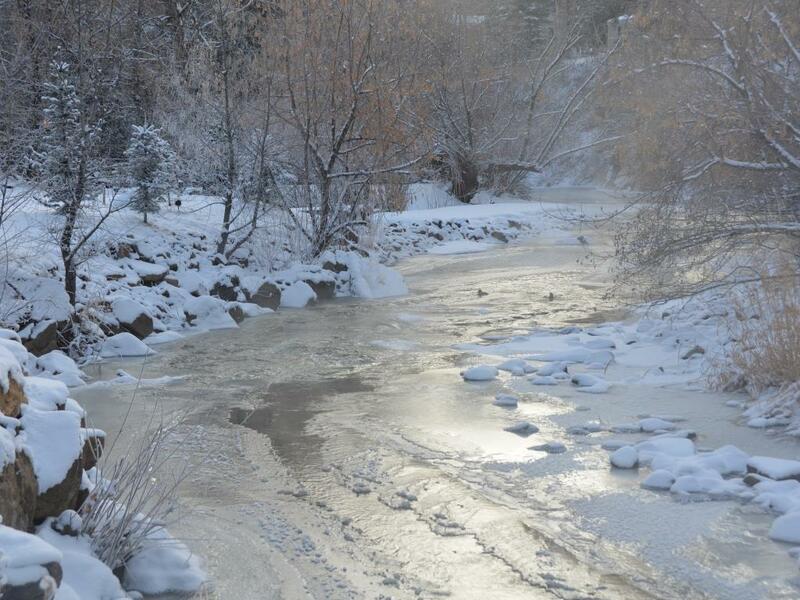 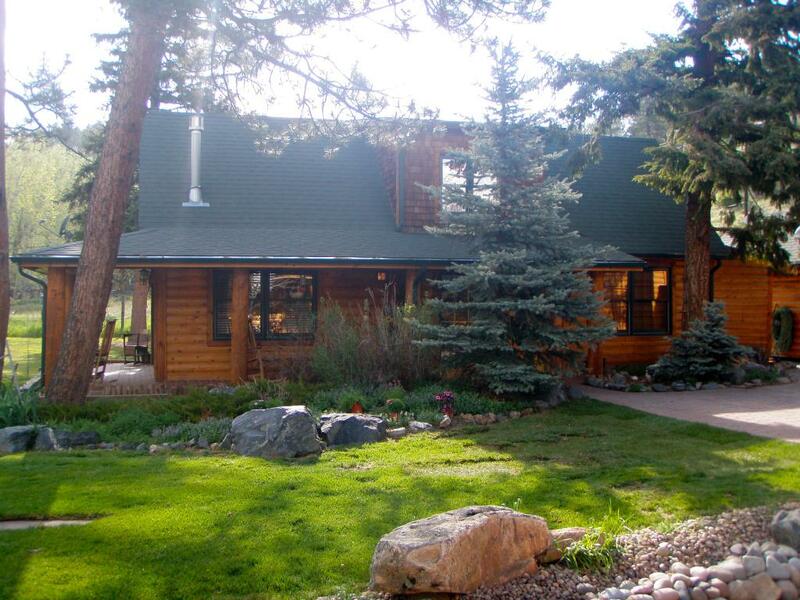 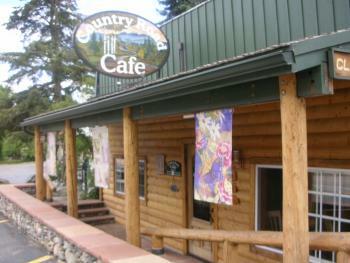 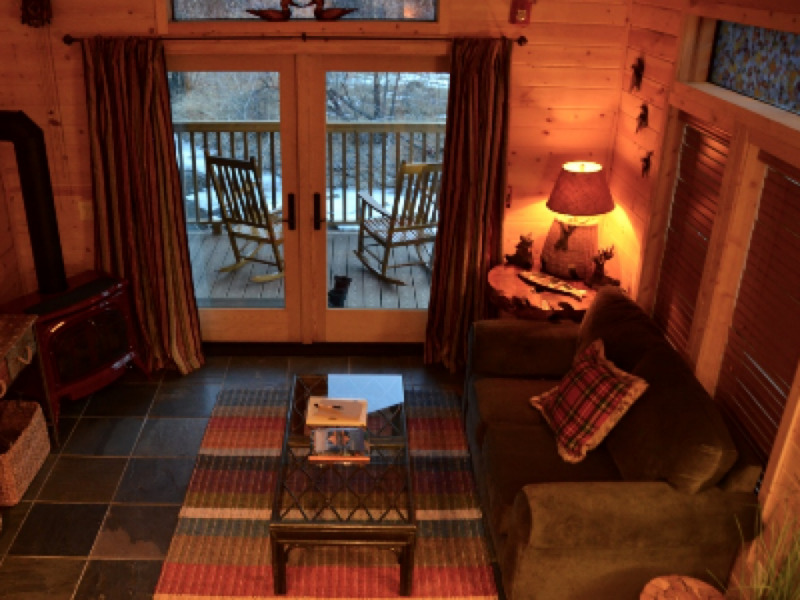 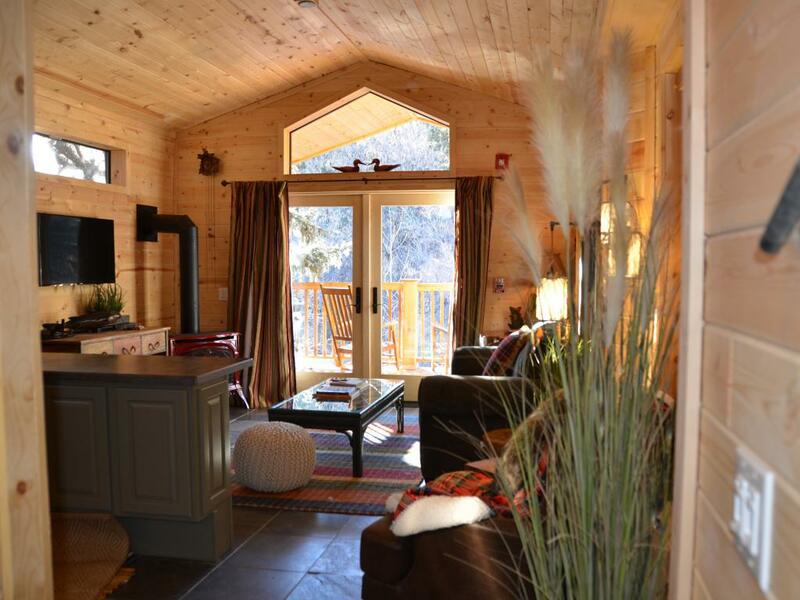 Our charming cabins are nestled on the banks of Bear Creek and hidden behind the handcrafted gates of the quaint Country Road Cafe located in Evergreen, Colorado, on the historic Lariat Loop! 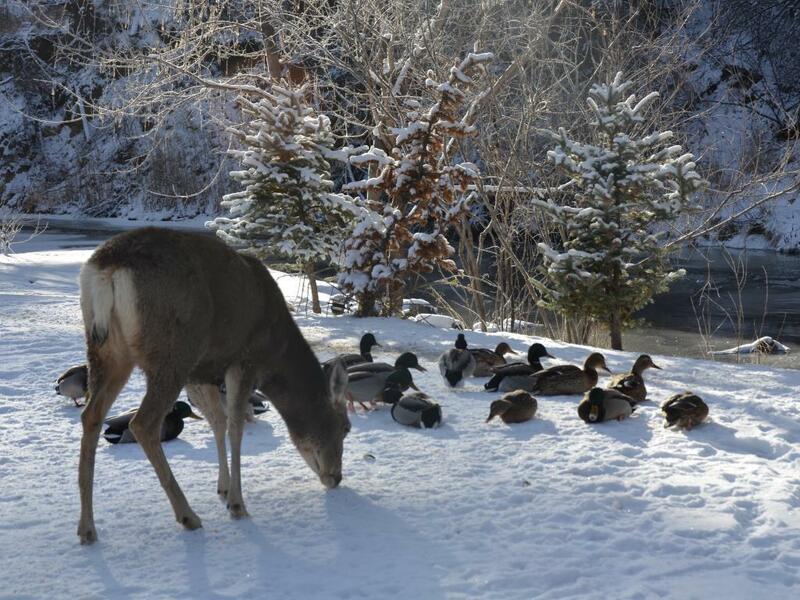 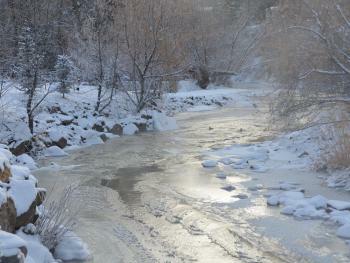 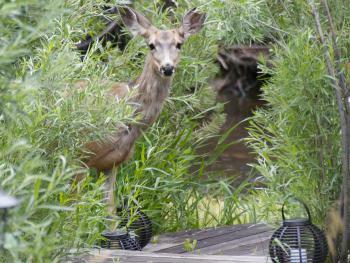 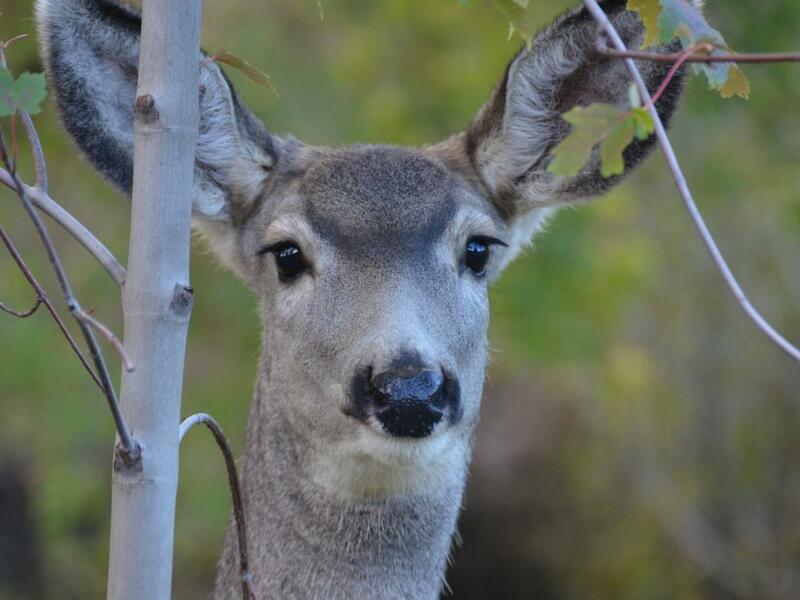 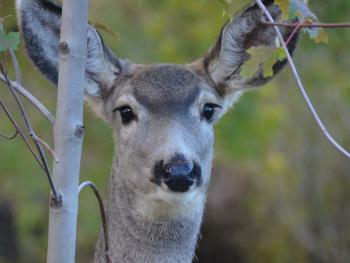 Enjoy the tranquility and serene views of Bear Creek and walk our creekside path to look for our Colorado wildlife visitors! 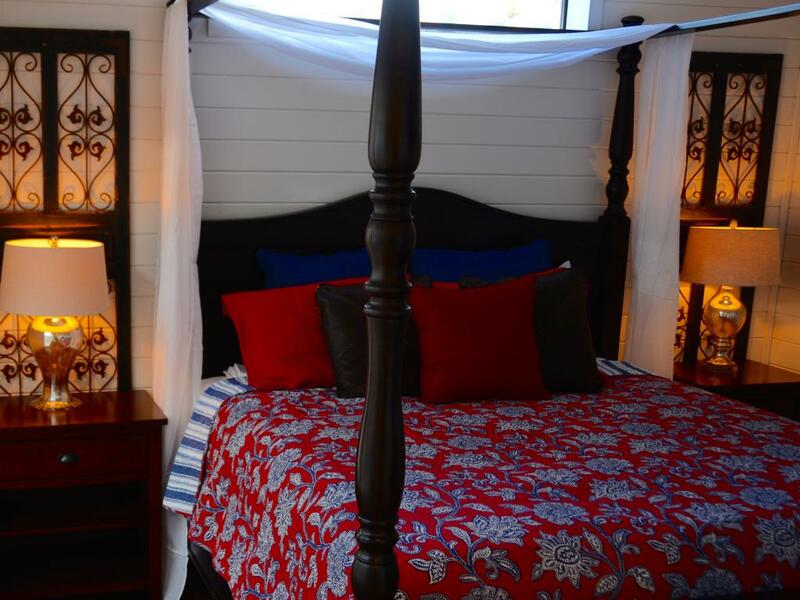 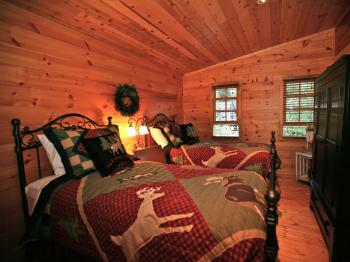 Our lodging accommodations are perfect for those looking for an intimate retreat or getaway!